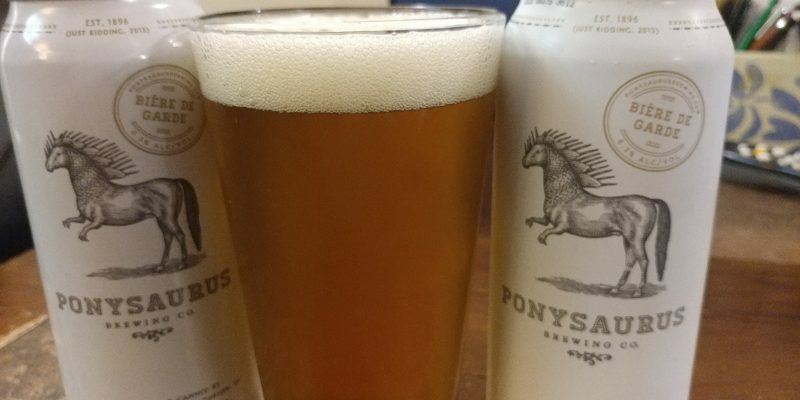 Back in July our cousins brought us two tasty beverage gifts (you may recall our Krupnikas tasting) and we finally got around to tasting the second one this evening as we look towards Labor Day weekend – Ponysaurus‘s Bière de Garde. For those unfamiliar with this style of beer, Bière de Garde originated in northern France and was typically made at farms in the winter or spring because the yeast strain used to make it wasn’t stable in warmer weather. 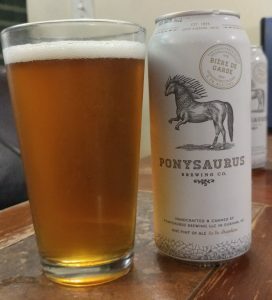 We found Ponysaurus’s version quite enjoyable – a mix of creamy malt flavors with a citrus finish and a mild sharp hop core. If you get a chance to try this or any of the beers from Ponysaurus, I’d certainly recommend it. Tis the Season – Pappy Season!